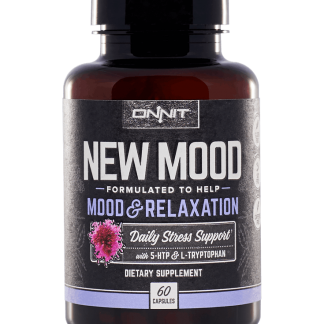 Onnit New MOOD is a dietary supplement aimed at reducing stress and anxiety without affecting your levels of alertness. As we’ll see in a moment, New MOOD is a natural supplement that encourages the body to generate serotonin, a key neurotransmitter linked to happiness. There is a list of natural ingredients that support this effort that we’ll run through one by one. Are you looking for help when it comes to relaxing? Maybe you’re just looking to slow your brain down in the evening as you get ready to go to sleep, or put your racing mind at ease instead of always going a million miles a minute. It’s easy to overthink things, of course. Everyone does it. After all, there are hundreds if not thousands of options out there to try and reduce your stress, but many of them are pharmaceutical responses. Instead of pumping your body full of artificial compounds, there’s a natural solution when it comes to reducing stress and introducing calm to your lifestyle. That solution is Onnit’s New MOOD, a safe, natural supplement without any artificial flavorings or additives that you can take at any point throughout your day or night to help put your mind at ease. This is accomplished through natural means, by assisting and encouraging your body to produce the neurotransmitter serotonin. So, don’t overthink this one. Let’s get into our Onnit New MOOD review. What is Onnit New MOOD? If you want to calm your mind and body, New MOOD is perfect for unwinding and erasing daily stresses. Put simply, Onnit New MOOD is a dietary supplement aimed at reducing stress and anxiety without affecting your levels of alertness. As we’ll see in a moment, New MOOD is a natural supplement that encourages the body to generate serotonin, a key neurotransmitter linked to happiness. There is a list of natural ingredients that support this effort that we’ll run through one by one. 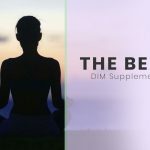 While this supplement is an excellent way to calm down before going to bed, it can be taken daily as part of a morning routine or at any point throughout the day to clear your mind and give you a sense of calm. It’s important to note that New MOOD doesn’t necessarily make you sleepy, but it helps to put your mind at ease. That means that unlike other sleep aids (including pharmaceuticals), this particular supplement can be taken at any point in the day without fear of falling asleep in the middle of your school or work day. 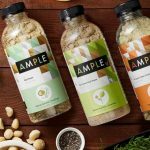 New MOOD is produced and sold by the company Onnit (more on them as a whole later) and is one of more than a dozen highly-rated supplements they have on the market, in addition to a host of other health and fitness-related products. We’ll take a look at precisely what is included in terms of ingredients, what its specific benefits are, as well as the other products offered by Onnit that could be a fit for you alongside New MOOD. There are plenty of ways to try and slow your brain down, to find peace and calm, to help yourself take a breath. But so many of these methods are not natural, just not foolproof, or have a host of other issues. But, we have good news. New MOOD is both natural and foolproof. If you want to calm your mind and body, New MOOD is perfect for unwinding and erasing daily stresses. This could extend from simple restlessness to full-on insomnia, the latter of which does not need to be treated by prescription drugs such as Ambien, which too often come with harmful side effects and potential “sleeping pill hangovers”. And the positives don’t stop there: New MOOD is non-habit forming and can be used daily without concern for the development of dependency. The fact that there are no chemicals or unhealthy, side-effect-laden compounds are conducive for daily use, unlike some other sleep-aid or stress relief options on the market. If New MOOD is taken early in the day, it can assist with anxiety or stress surrounding any number of items on your schedule, from public speaking to exams to travel to social situations, it can be a significant aid to more than just your evening routine. How is New MOOD made and what are the ingredients? As with all of Onnit’s products, New MOOD is completely caffeine-, gluten-, and soy-free and the capsules are 100 percent vegetarian. There are exactly zero additives, artificial ingredients or coloring, preservatives, or anything along those lines included in New MOOD. An important place to start, to be sure. But things only get less chemical and more natural as we dig in further. The top four “deeply relaxing herbs” listed by Onnit include Valerian Root Extract, Chamomile Flower Extract, Lemon Balm Leaf Extract, and Jujube Seed Extract. And then, there are ingredients like 5-HTP, L-Tryptophan, and Vitamin B6. Let’s run through why each of these is such an important enhancement to New MOOD, starting with the herbs that make up the proprietary Onnit Tranquility Blend. Valerian Root Extract. The Valerian root comes from a flowering plant in Europe and Asia and is included to assist in combating restlessness. Chamomile Flower Extract. The chamomile flower contributes calming properties to the New MOOD cocktail. Lemon Balm Leaf Extract. Lemon balm comes from the mint family that grows in southern Europe and the Mediterranean. It assists the body in maintaining a positive mood, as well as assisting in the reduction of overall mental stress. Jujube Seed Extract. The Jujube tree originated in China but now grows around the world. The seed of the tree is used to combat restlessness. Many of the other ingredients included in Onnit New MOOD were deliberately chosen to work together to partner with your body’s own neurotransmitters to promote a positive mood and happiness. Serotonin is the compound that New MOOD is focused on boosting. 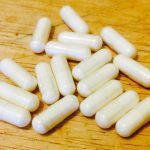 The supplement combines L-tryptophan and 5-HTP, alongside Vitamin B-6 as a converting catalyst along with serotonin. This cocktail helps the body optimize its serotonin levels and assist in maintaining a calm, relaxed mood. L-Tryptophan. Tryptophan is an essential amino acid that you may have heard of at Thanksgiving time. Yes, it is the element in turkey that makes you sleepy after a massive Turkey Day feast. So it makes sense that it is part of a supplement that assists in stress relief and calming. L-Tryptophan is also a building block for 5-HTP, which is the direct precursor of serotonin. 5-HTP. The 5-HTP nutrient increases the central nervous system’s synthesis of serotonin by crossing the blood-brain barrier. It also helps support a healthy mood balance, which was proven to be the case in 69 percent of people studied versus those that were given a placebo over the course of a two-week study. Vitamin B-6. 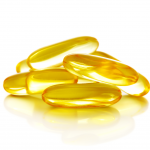 Among a few vitamins included in New MOOD, Vitamin B-6 is vital. It is used in over 100 of the body’s chemical reactions, with one of its primary tasks focused on aiding in the manufacturing of amino acids and neurotransmitters — and especially serotonin. Magnesium. Magnesium is, of course, included in plenty of foods that you eat already. But it’s important enough to your body’s basic functions, including heart health and nervous system, that there is a healthy dose of it included in New MOOD. Magnesium is also helpful in fighting stress and restlessness. Vitamin B-3 (Niacin). Niacin, or Vitamin B-3, is known for assisting in opening up capillaries and blood vessels, allowing oxygenated blood to detoxify your system. Of course, New MOOD will affect every person just a bit differently depending on personal brain chemistry. But if nothing else, at least you know exactly what’s in this particular product. The same cannot be said of many of the alternatives that are out there. What are the key benefits to New MOOD? As mentioned, the purpose of Onnit New MOOD is fairly simple: to help you find calmness and allow your mind to rest, whether at the start of your day or at the end of it. An increase in serotonin is the best way to accomplish this, and that is exactly what New MOOD looks to facilitate inside your body. The ingredients included in the Onnit Tranquility Blend mentioned above (extracts from Valerian Root, Chamomile Flower, Lemon Balm Leaf, and Jujube Seed) all work with your body to work towards a sense of calm and put that nagging restlessness behind. Other ingredients, including vitamins B-6 and B-3, Magnesium, and 5-HTP assist in facilitating an atmosphere conducive to peace and calm, too. New MOOD may also contribute to more vivid dreams, meaning that they might be easier to recall the next morning. And speaking of the next morning, many test subjects of New MOOD reported feeling more refreshed overall after a night’s sleep that was impacted by this supplement. Another way to help with stress and anxiety? Get more sleep, of course. And New MOOD can help with that — without the side effects or dependency that comes along with so many pharmaceuticals. The L-Tryptophan that is included in New MOOD is one of the key components that promote a restful night’s sleep. What are the dosage and potential side effects of New MOOD? There should not be much in the way of Onnit New MOOD side effects. New MOOD is vegetarian and does not include any artificial additives, which greatly reduces the probability of any serious side effects. At its core, New MOOD is a serotonin booster. Some serotonin boosters have been known to increase general drowsiness, as well as contribute to short-term headaches. As mentioned earlier, these reactions should be specific to individuals depending on their brain chemistry, so there is absolutely no guarantee that you would encounter anything resembling the above side effects. That said, it’s important to consider any potential issues and pay attention after taking the supplement for the first time to ensure that none of these issues are cropping up. New MOOD can be taken daily and is recommended for a dose to be taken in the evening before bed. It can also be taken in the morning or once during the day when needed, although no more than three doses (two pills each time) should be taken in a 24-hour span. And although New MOOD does not create dependency or force you into habits, it is likely most effective if taken regularly. Lastly, it’s important to mention that New MOOD is certified as drug-free by the Banned Substances Control Group (BSCG), the gold standard in third-party supplement testing and certification for banned drugs. You can be confident in knowing that New MOOD doesn’t have anything harmful or potentially dangerous or illegal included by glancing at the list of professional recommendations. They include Andrew Sendejo of the NFL’s Minnesota Vikings and MMA fighters Jeremy Stephens, Joseph Benavidez, and Rose Namajunas. If the pros use it and swear by it, then it should be safe and effective for you, too. What else does Onnit have to offer? Onnit has a host of products available for purchase, ranging from supplements to fitness accessories to food. Here’s a quick overview of their offerings. Within the supplement family at Onnit, there are several different categories. For instance, New MOOD falls under — you guessed it — the Relax/Sleep category. Also included in this category is Melatonin Spray, which is an efficient and effective way to deliver melatonin, a hormone that assists in regulating your internal clock. Other categories include focus, featuring Onnit’s flagship product, Alpha Brain and Alpha Brain Instant. There is also Daily, which includes products such as Total Gut Health and Active B Complete, targeting specific aspects of the body’s health and immune system. 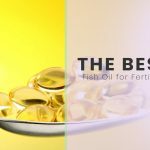 The Vitality category includes a pair of oils that assist in delivering various nutrients to your body, including Krill Oil and Vitamin D3. 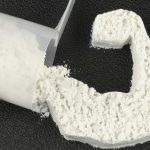 Performance has five different products that you can order to supplement your healthy diet and exercise, including Creatine and Shroom TECH Support, a proprietary, mushroom-based dietary supplement. Onnit offers five different kinds of body oils, including joint oil and MCT oil. There are also several different kinds of energy and protein bars and snacks that will fill you up, taste great, and contribute to your fitness and health goals. There is also a limited selection of coffee and tea, offered a la carte or as part of a bundle. Lastly, there are Powerfoods and Himalayan salt to finish off the food experience. Looking for some workout equipment for your home gym? Pick some up here while you grab your snacks and your Alpha Brain supplement. Like we said: a one-stop-shop. From heavy “battle ropes” to kettlebells to bags, medicine balls, clubs, and maces, Onnit has all of the workout equipment that you could possibly need. Want to commit to Onnit and tell everyone about it while also wearing comfy clothes? We got you there, too. There are several men’s and women’s options, as well as a series of collections to choose from, too. The Onnit website also offers products for personal care (Onnit has their own line of body wash, deodorant, toothpaste, soap, and more) and has several books and DVDs for sale, too. Again: it’s a one-stop-shop, and you could do your next year’s worth of fitness and health/wellness shopping right here. Look no further. The best place to start when it comes to purchasing New MOOD is Onnit’s own site. (As of this writing, you can enter code GETONNIT when you’re checking out to get 10 percent off your order.) You can’t go wrong when it comes to getting the product straight from the source! Additionally, Onnit has a “Keep It” money-back guarantee, meaning that if the supplement ends up simply not being a fit for you, you can still keep the product while receiving a full refund. 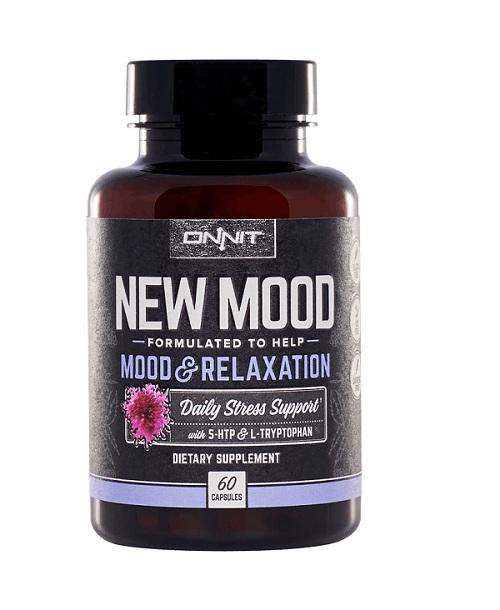 Onnit New MOOD is perfect for anyone who has extremely busy and often stressful lives. So … must of us then, right? Business professionals are competing all the time, going from a 9 a.m. staff meeting to a 10:30 sales presentation to an afternoon brainstorming session. Keep your mind calm, at ease, and free throughout your day, and make sure that you’re calming back down to “zero” at night in order to get a solid night’s sleep. Students are stressed constantly by presentations and exams and endless homework. Working parents? Between work and home and your kids’ extracurricular activities — just keeping those schedules straight is tough enough — your brain needs this break. 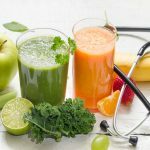 Of course, there are plenty of options when it comes to purchasing supplements or pharmaceuticals that could be helpful when it comes to putting your mind at ease. Please weigh your options, but don’t overlook just how important a supplement with natural ingredients and nothing artificial is to your overall health. But if your decision is that Onnit New MOOD is the best choice for you, then don’t wait any longer. A good night’s sleep is priceless, and every night that you go without it leads to what is potentially another wasted day that you won’t be functioning at full capacity. As with any other change you make to your diet, exercise routine or eating habits, it’s a good idea to check with your doctor before beginning to take a supplement of any kind. Make sure that this product makes sense with your lifestyle, and that you’re ready to take this step towards getting a better night’s sleep.